I was recently interviewed and photographed for my college’s newspaper, the Kent Stater. I want to thank the writer who was in contact so many times and took the time to write such a lengthy article. It was such an honor to publicly share my story, again, and I pray that this new audience has a chance to be inspired by the story God has blessed me with. Unfortunately, there were several inaccuracies in the story. I’m not sure if I didn’t describe something well enough to the writer or perhaps he took too much literary freedom, but this is the link to the article, and I will post it below with my corrections in [brackets]. If you’d like to share the article, please share it from this link where everything is 100% accurate. The soon-to-be bride walks around the daylight in her house, cradling her 10-pound white shichon Haylie up against her chest. She smiles with rose-colored lips. Her almond hair curls into her chin. Her dog looks up at her with beady eyes, a pocket-sized pink bow behind [her] ear. The mother follows her with words about the wedding shower; the father quips relentlessly through his fatherly grin. Bridesmaids begin to show up in a row, letting the unforgiving cold seep in from the driveway. A five-foot-tall Eiffel Tower [set up for the wedding shower] shines with gold in the dining room. There is still a month or two for things to go wrong. She is happy. She is nervous. Her name is Amanda Goodwin. She is 27, and she will be married this April. Amanda has achieved several milestones in the past few months, her latest graduating after nearly a decade in college. Last year, her boyfriend Scott proposed to her. She’s been smiling more often, her mother, Pam, said. Ever since Amanda was 5 years old, she has had chronic liver disease. After nearly two decades suffering from the effects of primary sclerosing cholangitis (PSC) — a disease that scars bile receptors in the liver, causing an eventual shutdown — Amanda has been through cycles of hope and despair, often buffeted by late-night phone calls from the intensive care unit [I have never in my life called the intensive care unit. Maybe he meant my transplant team?]. As someone erudite in medicine, Amanda likes to think of herself as a “wounded healer,” someone who’s experienced firsthand what others only study. For her, it’s been an 18-year-long test. 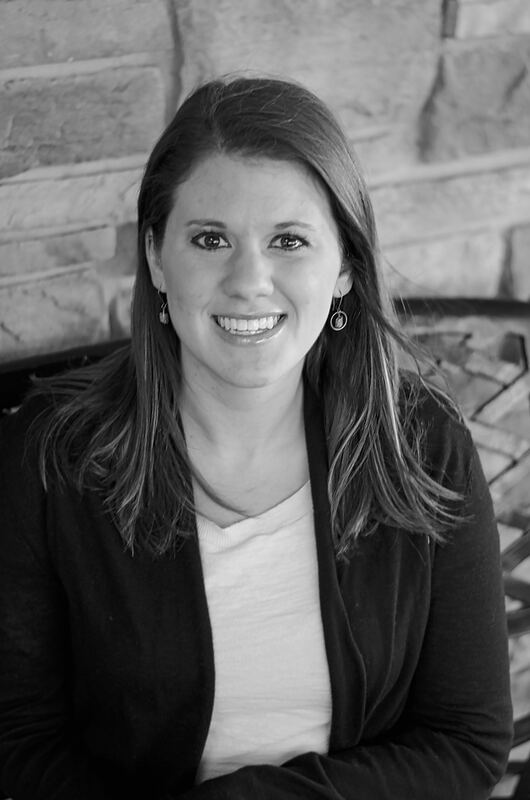 Moving to Munroe Falls at the age of 9, Amanda spent most of her childhood indoors. She was a “book-smart, intellectual type of girl,”said Pam, the opposite of her varsity softball-star sister, Nikki. At the Cuyahoga Valley Christian Academy (CVCA), she latched onto the interests of a straight-A student, shot for a solid 4.0 GPA and adored the arts. Even at a young age, Amanda was aware of the research behind PSC. She and her family knew very well that a liver transplant was an inevitable episode — still the only cure known for such a disease. Most PSC patients’ livers last, on average, a decade. Yet in the unmeasured meantime, Amanda lived a life bound by the limits of PSC. Some nurses who ran across her case often mistook alcoholism as the culprit of her precarious liver. (She doesn’t even drink.) She often needed 10 hours of sleep or more each day due to ongoing fatigue. Despite that, Amanda graduated high school in 2005 looking forward to attending Kent State. She had control for the time being. After a brief stint in the College of Business Administration — her father Keith’s go-to suggestion, owning a successful heating and cooling business himself — Amanda turned to the School of Nursing based on a gut feeling. As a [nanny], one of the only jobs Amanda could work at the time, she admired the notion of caring for people. The remaining nudge came from introspection. Over the next five years, Amanda plunged through Kent State’s rigorous pre-nursing program and into nursing school. She took nutrition and studied genetics in-depth (research continues on the potential for a genetic cause of PSC). Yet eight to 12-hour clinicals brought out the worst in Amanda’s fibromyalgia and fatigue, and her [family] noticed. But Amanda had her plan — her usual “goal-mindedness.” She knew what her body was and wasn’t capable of. Above all, she had the will. She decided to continue clinicals despite doctors’ warnings. One even told her to drop out of nursing school. It was right after a 2010 family trip to Disney World when Amanda went in for an annual test ordered by her [gastroenterologist], Dr. Vera Hupertz — a family friend by then — a run-of-the-mill CT scan of her abdomen. [This was a] typical procedures ever since she was five: nothing imminent was expected. [The next day, Amanda and her mom visited with Dr. Hupertz.] Hupertz’s voice sounded a little off as she spoke. The CT scan, she told her, showed a sizable tumor on Amanda’s liver. A transplant was vital and had to come sooner rather than later. She and her mother let tears flow. For Amanda, behind the wall were [not only feelings of loss and fear, but] feelings of joy and relief. A new liver would revitalize her body, effectively removing the chronic effects of cirrhosis her “malfunctioning” organ claimed. Thus began the period of waiting on the organ recipient list. She spent days indoors, diverting a wavering mind through Netflix, [crafts, reading, and] her Bible for solace against pain. She started journaling, even turning her [journey] into a purple-and-green scrapbook. What paired with the laundry list of CT scans, chemotherapy and endoscopies was a deep plunge into the world of transplant survivors[, joining support groups, and learning from them. After [becoming a volunteer] with LifeBanc, she soon had others putting on shoes for her. A “Walk for Amanda” [during Lifebanc’s annual Gift of Life Walk and Run] was organized in mid-August. For [three] months, Amanda’s transplant liver was still somewhere out there, waiting for her. She was at a moral crossroads. For Amanda to live, she had to wait for someone to die. About 1 a.m. on August 31, 2010, the phone rang again and the family crowded around the receiver. It was her coordinator at the [Cleveland Clinic]. She told Amanda resounding news: they found [a liver] her size. All Amanda knows about her organ donor was that he was a teenage male who passed away in an “unspecified accident,” a boy still without a name. With more excitement than anxiety, the Goodwin family nearly “flew” to the Cleveland Clinic. They knew well the  percent [three-year] survival rate. They said a prayer and Amanda [was admitted into the hospital] sometime around 3:00 a.m. This was it, she thought. This was the goodbye to PSC. Lying on the hospital bed that morning, Amanda thought about her circumstances. She felt lucky and blessed – and not just for herself. She found out from the procurer that the new liver was not only saving her life: ¼ of it was destined for an infant. Keith remembers last seeing Amanda before her bed left the elevator, waving goodbye alongside Pam [and Amanda’s friend Jen] as she headed to the operating room. It was around [6:00] that evening when the team of doctors finally assembled. The surgery lasted eight hours. Her family was present the entire time. By 1:30 a.m. the next day, Amanda was out of the operating room. Doctors were surprised at how well the operation went. She was a new person. She was strong. She missed her dog most of all. The pathway to recovery, Amanda knew, would be lined with tubes administering pain medication — [Fentanyl and] Morphine — others feeding a liquid diet [or breathing for her]. She looked down at her abdomen: 50 staples assembled in the shape of a chevron (a Mercedes-Benz logo, as Amanda puts it). The pain was telling and overwhelming. She gained 30 pounds in fluids alone that week. As soon as she regained consciousness, Amanda’s logic kicked in. Her education was, at the time, lifesaving. She started walking slowly up and down the halls of the Cleveland Clinic. It seemed like a race to Amanda — an “Olympic sport” — and she ran as if she had been preparing her whole life. She mastered her medication intake and lost 10 pounds in one day. She knew every doctor and nurse by their first name, as they were like her. She imagined herself in their places. But being immunosuppressed as a result of organ [transplantation], doctors told Amanda true body regularity would take months, even a year. She walked and walked despite the time ahead of her. She left the Cleveland Clinic on a Saturday morning. Her mother drove her back to Munroe Falls on an afternoon without a cloud in the sky. At home, Haylie was waiting for her [at the door]. “Seeing her was proof that I was home,” she said. Problems became so frequent that Pam learned how to dress and clean Amanda’s “cratering” wound herself — knowing, just like her proto-nurse daughter, how to attend to it tactfully. Her father had to readjust Amanda’s bed so she wouldn’t have to climb up to sleep in it. She would lie awake late at night examining with her fingers the 90 or so swollen bumps on her abdomen. More tears came. This time, those of exasperation. After a month and a half, the girl with the incision was starting to show healing signs. She was weary from the side effects of immunosuppressant drugs and steroids (she recalls restaurant menus “shaking”) but began to live somewhat of a normal life. She resumed [nannying] and her work with LifeBanc, but most important of all was the plan to return to nursing school the following spring. The problem was that Amanda, even after transplant surgery, was able to handle clinicals even less than she was pre-operation. Doctors told her that even if she did make it through nursing school, her suppressed immune system would prevent her from working around ill patients. [For example,] caring for a sick 7-year-old with mono, could mean, for Amanda, a month in the hospital. “Fighting tooth and nail” to continue her dream of becoming a nurse wasn’t enough. She had to look elsewhere. In August 2014, Amanda graduated from Kent State with a focus in Education and Promotion, nearly four years after her transplant surgery. She lists it as one of her most noted accomplishments to this day, one drenched in trials and tribulations. The “wounded healer” had finally made her mark. The surgeon’s knife had only cut so deep. The lessons of life continue to pour from her endlessly like the love she transfuses to others, her dog Haylie included — and maybe most of all. It was in the fall of 2014 when Amanda’s doctor at the Cleveland Clinic sat her down after analysis. Future warnings aside, he smiled with good news. It will be a small wedding, she says. Roughly two dozen people, no more. [A large 300-people will come two weeks later.] The “wedding explosion” in the Goodwins’ basement will disappear come the Saturday of the reception. She cradles and kisses Haylie behind her ear, talking about her and Scott’s house hunt, their plans to settle in the area by the fall. She wants kids. She wants to travel to France again, along with Italy. All this, she says, comes with time. As some of you know, I (finally) graduated in August after 9 years in college. And as some of you also know, for all of those years, I fought and fought to get ahead despite my many health challenges. I had to take a year off after a car accident, another year off after my liver transplant, and semesters off for my subsequent abdominal surgeries. I began college in 2005 pursuing my nursing degree at Kent State. I excelled and felt like I had found my calling. I can’t even describe how I felt when caring for my patients. It gratified my soul so deeply knowing I was able to give back to people in need, encourage them, or help them through a hard time. I earned high grades in a rough, competitive program and made friends with my instructors. It sounds like the perfect story, right? Well, I was still battling a life-threatening liver disease. I could barely make it through an 8 hour clinical shift without feeling like my body was going to fall apart. The work was very physical, and it set off my fibromyalgia and arthritis pain in the worst way imaginable. The stress of a, well, high-stress program wore me thin. 24-7, I was either sleeping, studying, or in class/clinical, even in the summer. My body suffered so much during these years, and I believe it sustained permanent damage from me not listening to it, but I was doing so well at my school work, thriving as I was being continuously challenged, and enjoying the patients so much. Then came the tumor that randomly appeared on my liver. At the end of a very normal semester in nursing school, a routine CT scan showed it clearly. The tumor was inoperable and in a location that made it untestable. We were to proceed, assuming the worst: cancer. I was quite literally told to put my entire life on hold and then fight for it. I wasn’t ready for any of that or anything else that came that summer. Who is? No one is ever truly ready when these things happen. God gave me so much peace during that summer – so dramatically noticeable that I will never be able to deny it. However, all of the tests, the chemo… there was so much physical pain. Then came the pinnacle of physical pain and the resumption of emotional and mental pain. More like anguish. The surgery caused the absolute worst pain – pain, after 18 years of liver disease, that I never even knew was possible. I had to learn to eat again, walk again, go up stairs again. Every muscle in my abdomen had been cut through, and I became quite skilled at protecting my excruciating abdomen where 50 staples once lived. I had to learn to live with an even more fragile immune system than I had before. The first 6 months, for these reasons and more, were torture. If it weren’t for the outpouring of love and support from so many people and the knowledge that a young man died so I could live, I don’t know if I could have gotten through it. After living like that for awhile, you are pretty much begging for life to go back to normal. My doctors advised me to take one year off of school to completely recover, but I, Ms. Type A, was determined I was going to return to school for spring semester, 2011, barely 4.5 months after my surgery. As I was told, I crashed and burned. So that semester never really amounted to anything even though I tried. Around that time, I saw my infectious disease doctor. These doctors specialize in keeping transplant patients (who are immunocompromised) safe from any type of communicable (contagious/transmittable) illness and are highly trained in what they do. My doctor told me, in no uncertain terms, that nursing school was not an option with my new immune system. I began taking anti-rejection medications to prevent my body from rejecting my new organ, and as a result, the medications suppressed my immune system. She told me I would catch anything my patients had and even basic illnesses could turn into “worst case scenarios” with my immune system. (Which last month, we found to be true – blog post coming up soon.) I had some acceptance issues so for the time being, she wrote a letter for me to be excused from seeing any patients with communicable illnesses. Even without contagious patients, being in a hospital a couple days a week, I knew I was walking on thin ice. Germs are everywhere in hospitals, and anyone working in one leaves covered in a multitude of bacteria. I proceeded like this for awhile until I eventually was able to get to a point of acceptance and heed my doctor’s advice. It was a long, emotionally difficult process for me. The end of my nursing career was more of a move out of desperation and the realization that I had ZERO options left. I could not even begin to tell you the options I tried – I was like a crazy person looking into everything and consulting everyone I could trying to fit a square peg in a round hole. Even if I could get through school, any job I took would require me being with sick patients. If I wanted a job on a “not sick” unit such as case management, I would need 2 years of experience on a typical unit with sick patients. I had literally exhausted all options when I, myself exhausted, heard about a newer college at Kent State – the College of Public Health. The rest is history. In an effort to publicize their growing online options, Kent State has been interviewing students with unique experiences who ended up being successful with online-only baccalaureate programs. An employee interviewed me and wrote up an article, and it hit a major Cleveland news station today. Go ahead and check it out to see how the story ended, or rather, continued. I hope that my story first of all, provides someone with hope, that they, too, can overcome any struggle and end up successful and happy. I don’t believe the “you can accomplish everything you put your mind to” myth. What’s best for you is all that will work out. Each of us is incapable of doing certain things well, and perhaps this is God’s way of letting us find our true calling using our individual genuine gifts. I believe we need to try our hardest and fight for what we want to achieve, but when that’s not possible and we have truly exhausted all options, we need to know when to stop and fight for a new dream, always believing a Higher Power is orchestrating something greater than we could ever know. Secondly, I hope that this story honors my donor. Someone lost their teenage son, and solely because of that tragedy, I’m alive to tell my story, his story. It’s my highest honor. None of this is without extreme gratitude and humility. I have done none of this on my own but faced each day at a time and fought for my life, both literally and figuratively. I owe every bit of this to God, my donor, my super supportive friends and family, my amazing transplant surgeon, Dr. Eghtesad, and world-class team of doctors at the Cleveland Clinic, the deans and instructors at the KSU College of Public Health, and the enormous support of the Student Accessibility Services on campus. She completed almost three years of nursing school when doctors said it was time for a liver transplant. 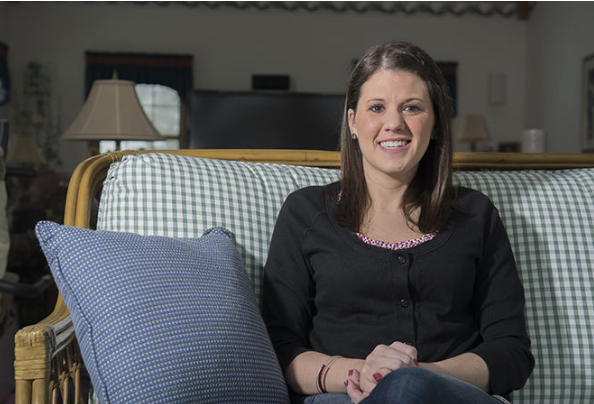 AKRON, Ohio — Amanda Goodwin of Akron, Ohio, is no stranger to adversity. When she was 5 years old, she was diagnosed with a progressive liver disease that would eventually require a liver transplant. In May 2010, she had completed almost three years of nursing school and was doing really well when doctors discovered a tumor and said it was time for a transplant. Despite having to take nearly a year off to recuperate, Goodwin still wanted to finish a degree from Kent State University. Despite her health issues, Goodwin participated in a two-week intensive course in Geneva, Switzerland, in May 2013. Ken Slenkovich, assistant dean of Kent State’s College of Public Health, led the trip. Slenkovich was immediately impressed with Goodwin. Goodwin, who graduated with a Bachelor of Science in Public Health with a concentration in health promotion and education, is enthusiastic when talking about taking classes online. Given her occasionally uneven stamina during her recovery, Goodwin loved the ability to work on her classes on her own schedule. She also enjoyed getting to know other students in the online program. Goodwin is especially pleased that she can still work in the healthcare field. As for the future, Goodwin is busy planning her wedding this spring, and she’s optimistic about the future. Kent State is a leader in the state and the nation in offering online courses and degrees. Since 2009, online enrollment at Kent State has grown 900 percent, and the number of online instructors at Kent State has grown from 86 to more than 600. Kent State’s College of Public Health was established in 2009 to educate and train students to meet the current and projected shortage of public health professionals in Ohio and the nation. It is one of only two colleges of public health in Ohio and the first to offer a Bachelor of Science in Public Health. Its academic programs integrate theory and practice to equip graduates with the knowledge and skills to address the health challenges of the 21st century. Praise God, they are all over. It’s been almost 6 weeks since I had my reconstructive surgery, and I’m back to real life. I don’t see my reconstructive surgeon anymore, and my transplant surgeon saw me last week and gave me a clean bill of health. We are all hoping (realistically) that this was my last surgery. I did have some complications and ended up in the ICU but recovery has been pretty low-key. I’m thankful for that, too. God has showed Himself on many occasions. His grace is overwhelming. Grace is an inflated raft that can submerge to the floor of a sea to save you. Grace is the silver thread that stitches up the shreds of mangled souls. Grace is the eye that finds us where it refuses, there, to leave us. Grace calls the waitress to the table and sits her down to wash her feet. Grace sees underneath the manhole on a street of self-destruction. Grace is the air to draw a breath in the belly of a whale. Grace is the courage to stand in the shamed wake of a frightful falling. Grace is the only fire hot enough to burn down a living hell. Grace waits with healing in His wings when we’re too mad to pray. Grace is the gravity that pulls us from depravity. Grace races us to the Throne when we make haste to repent and always outruns us. Grace treats us like we already are what we fear we’ll never become. Grace is the doorpost dripping red when the angel of death grips the knob. Grace is the stamp that says Ransomed on a life that screams Ruined. Grace sets a table before me in the presence of my enemy even when my enemy is me. Grace is the cloak that covers the naked and the palm that drops the rock. Grace is divine power burgeoning in the absence of all strength. Grace proves God true and every self-made man a liar for the sake of his own soul. Grace is the power to do what we cannot do for the Name of Christ to go where it has not been. Grace is a room of a thousand mirrors, all reflecting the face of Christ. I have never in my life experienced God’s grace as I have in the past three years. I feel so unworthy but so blessed. Saw this in the Wall Street Journal, Weekend Edition March 16-17, 2013. Scientists from Britain’s Oxford University have invented a device that preserves human livers outside the body for up to 24 hours, an advance that could potentially make more of the organs available for transplant at a time when demand is climbing. This has huge potential. The future of medicine is so exciting for transplant patients. I learned of Chelsea last week and my heart broke in two reading of her story. I read every page on her website and took in each word. To refresh your memory, hepatocellular carcinoma, or HCC, is the adult form of liver cancer that my doctor discovered I had in May, 2010, which led me to transplant 3.5 months later. 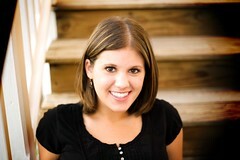 21 year old Chelsea was diagnosed with HCC at age 4 and was treated with 40 chemo treatments and several surgeries. I don’t know her story in detail, but I’m sure she dealt with much more, including the emotional agony of growing up in hospitals. 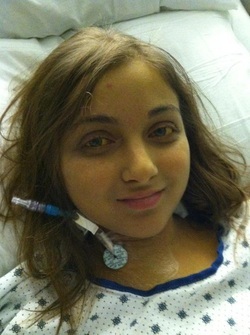 Her mother gave her a partial liver transplant at age 7 and it lasted 7 years longer than it was projected (14 total). However, she endured some complications that left her liver damaged. All of the issues had caused strain on her kidneys, and she was forced onto dialysis. She lived at Cleveland Clinic in the ICU for a long period of time as she waited for a rare liver: intact (vs. partial), small (her years of illness caused her to be small), and O- blood type. As I know from my nursing experience, type O isn’t the easiest type to match. Since Chelsea is my age, with my disease, with a history of several illnesses, and the same transplant team as I have, I felt an instant connection. We share so much in common. I wished I could do something to encourage or help her. My mom was watching late night news tonight, and then there it was – the newscaster said the words “liver transplant” so I instantly looked up. Chelsea’s picture came onto the screen just as they said she lost her battle today. Chelsea had gotten a liver last night and from the times posted on her website, it seems as if her body succumbed during the actual transplant. Tears came to my eyes, and I gasped. I told my mom the whole story, and she was upset as well. Then she told me how blessed I am. When people like Chelsea are out there, I don’t feel as blessed. I’m so caught up in the “Why me?” “Why her?” questions. Why did I live through the surgery while Chelsea didn’t? She was a year or two younger than me at the time of her transplant so you’d think she’d have a better chance than me. I was small and needed a rare donor as well, yet I waited only 3.5 months. I never got to that point where I was in the ICU for days like Chelsea, or, like my hospital roommate last month, in end-stage liver failure, full of several liters of fluid that needed drained regularly. Who chooses who suffers most? Who chooses who gets it worse before some kind of intervention – supernatural, surgical, or otherwise? All transplant patients have unique bonds. We share each other’s struggles and triumphs. We wish we could take the pain from any fellow one, whether we know them or just hear their story. We are all entered – involuntarily – into this club, the Transplant Club, and if death or complications harm any of our brothers or sisters, well that just won’t work for us. We put up a fight because we have been there. The hit is too close to home. Who chooses who has tragic complications? Why can’t we all triumph through? Why can’t our youngest ones pull through to live happy, healthier lives? Doesn’t it seem obvious? I’m grieving for a girl who I never knew. She’s my transplant sister, so I love her anyways. I wanted to send her a card telling her my story and how I was pulling and praying for her. I was hoping my story would encourage her to keep pulling through, to give her more hope to keep going another day. Sadly, she’ll never see my card. Rest in peace, sweet Chelsea. All of your transplant brothers and sisters are crying for you today. We pray for your family and friends and hope even in your death, your story will live on and continue spreading to thousands of people, giving everyone courage, strength, and perspective, inspiring each one to ultimately donate life. I haven’t said much lately because life has been pretty still for me. My heart has been quiet– there have been no major health scares and my loved ones are well. All is quiet here. Yet isn’t it funny how “quiet” and “normal” to people like me means sinus infections, shingles and its post-herpatic neuralgia, carpel tunnel, anesthesia treatments, and a few ER visits. And isn’t it funny how when you’re living your love, you just don’t notice as much? I’ve spent so much time with my kids, my family, and my friends, and I’ve been so busy with my classes, commitments, and trying not to push my body off the deep end. But I have to give the most credit to my kids. They are the reason I get out of bed each day. They are the people who say the funniest things and make me smile from ear to ear. They give the best hugs and show me how important I really am and affirm my love is mutual. This is the quiet balance that keeps my life running and my joy before my pain. For those wondering, up to bat after Christmas is Botox treatments for my migraines, a consult with an orthopedic surgeon about my carpal tunnel, my biannual tumor markers/CT scan in a few months, and maybe even abdominal reconstruction surgery. Those are my possibilities and I pray I get through what comes with grace and quiet. To some, that may sound scary or daunting, but when you have pain or issues, peace is getting it fixed. So with the best things present in my life, I will proceed with my plans. And with my family, friends, little loves, and Lord – I will transcend. Our First Ever Giveaway:: Lush hair ties! I am adding a new product to our “Be a Hip Sick Chick” shopping page. I found another product I believe can help sick chicks live their lives just a little easer. This product is by cool chick Marlo Bontempo and these are – ta da – called “The Perfect Hair Ties.” I LOVE these because unlike other elastics or “ponies” they don’t leave creases in my hair, and I can comfortably lay on them without feeling like I’m laying on a rock. They come in a huge array of pretty colors and are also available in headbands, too. Seriously go check out the site yourself! Marlo was so sweet to send me two packs to give away to my readers, and all of you can sign up to win! 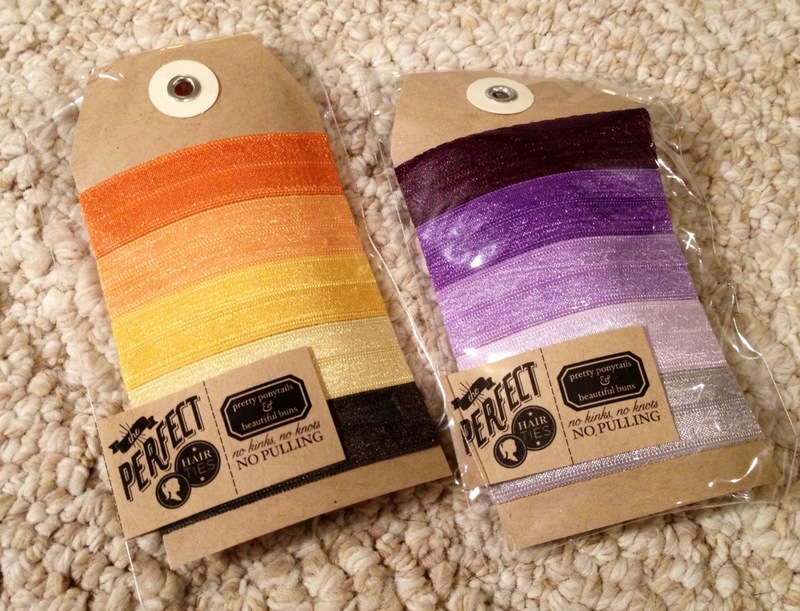 These packs highlight Halloween colors so we’ll end the comments and make the drawing on Saturday, October 20. To enter, reply with a comment discussing one of these options 1) a tip/trick/product you think helps make your life as a sick chick better, 2) how chronic illness has impacted your life whether you have it or not, or 3) simply, why life is a crazy miracle. And I’m so sorry but I can’t ship outside of US/Canada. There will be TWO winners total, one for each color. If you have a strong preference, please mark it. Love you all. Ready? GO!